Micromax listed a new voice calling tablet on its website. Dubbed as Canvas Tab P702, this is priced Rs. 7,999. Official launch of the device is expected very soon. Highlight of the tablet is the dual SIM support. 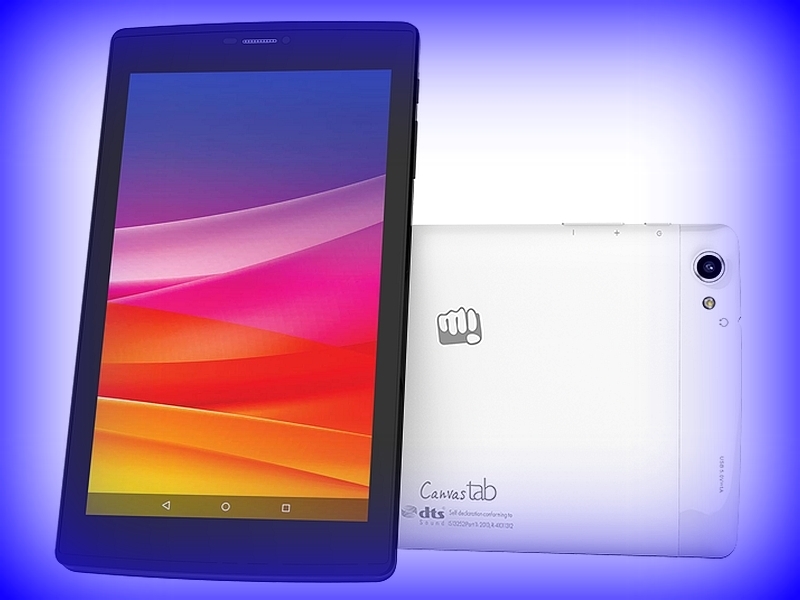 New Delhi: Micromax Canvas Tab P702 comes with 7 inch display and the resolution of it is 1280 x 720 pixels. It is powered by quad core processor with 1.3 GHz speed. The processor is coupled with 2 GB RAM and the internal storage is 16 GB. Extra storage can be added up to 32 GB via micro SD. The handset comes equipped with 5 megapixel rear camera with flash and 2 megapixel front facing camera. The handset comes out of the box with Android 5.1 Lollipop operating system. Apart from usual connectivity options, it also supports 3G connectivity. Other features are 3.5 mm headphones, FM radio and dual SIM support. Battery under the hood is 3000 mAh. There are also dual speakers. The 3000 mAh battery of Micromax Canvas Tab P702 is claimed to deliver 250 hours of standby time and 3 hours of talktime. This tablet can be now purchased from Snapdeal and customers can get an OTG cable. Headphones and Kindle e-Books free with this purchase. This entry was posted in Launches, Tech on February 29, 2016 by Rakesh.